Does more than 1 Facebook page exist for your hotel? This may not have seemed like that big of a deal in the past, but now that more and more guests are starting to leave reviews on the channel and are searching for information about hotels on Facebook in general, it’s a important to have only one page associated with your hotel. 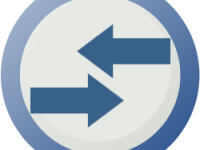 There are 2 different ways to merge multiple Facebook pages. First, if you have access to the pages that exist, you can merge them. Second, if you do not have access you can either enter a request to claim the page or report the page as a duplicate (and hopefully Facebook will delete it). If you have access to all the Facebook pages, sign into the Facebook account that is an admin to both of the pages you want to merge. Use Facebook as the page you wish to keep then click ‘Settings’ at the top left of the page. Remember, this will only work if you are signed into a Facebook account that is admin to ALL of the pages you wish to merge. 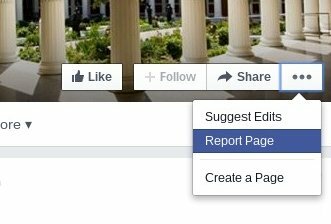 Do not submit multiple requests; Facebook warns they will delete all pages if multiple requests are submitted. 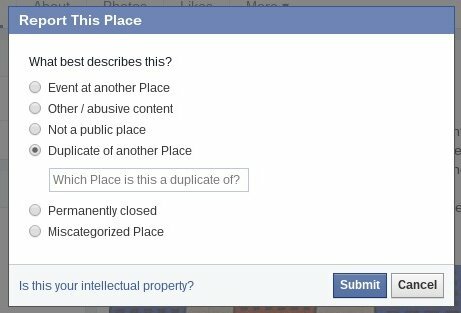 From the pop up menu, click ‘Duplicate of Another Place’ and enter the name of the Facebook page that it is a duplicate of then click submit. If the page has been created automatically, you have the opportunity to claim the page and then merge it with your current Facebook page. Click the little dropdown arrow to the far right of the unclaimed page (see Downtown Los Angeles image above) and click ‘Is this your business?’ Follow the on-screen instructions to claim your page. You will need to verify your affiliation with the business through either an email address at the businesses domain or by sending over a copy of a utility bill. Once you have control of the page, follow the instructions above to merge the page with your existing Facebook page. That’s it! Now you can have one solid Facebook page and. Click here for social media post ideas for your hotel.